9 nts from $1059* Customize it! 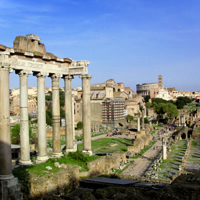 Experience Italy with this lovely vacation package, leading you through Rome (Italy's treasure with two millennia of artistic achievement);Cinque Terre (five miles of rocky coast with five small villages overlooking the sea, in the midst of two capes with hundreds of miles of beautiful paths); Florence (Michelangelo's David, Botticelli's Birth of Venus, and Raphael's La Velata) and Venice (Sumptuous palaces and romantic waterways). Travel between these cities by very convenient train rides which allow you an opportunity to observe the lovely country side. This is a flexible package. 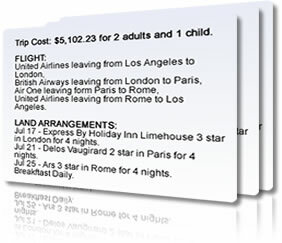 Select your number of nights in each city, desired hotel and activities.